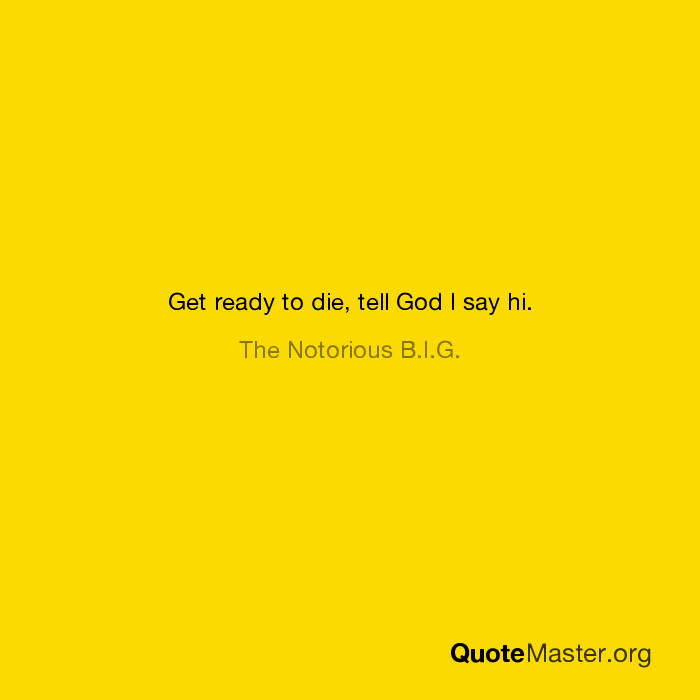 Get ready to die, tell God I say hi. The Notorious B.I.G. Get ready to die, tell God I say hi. 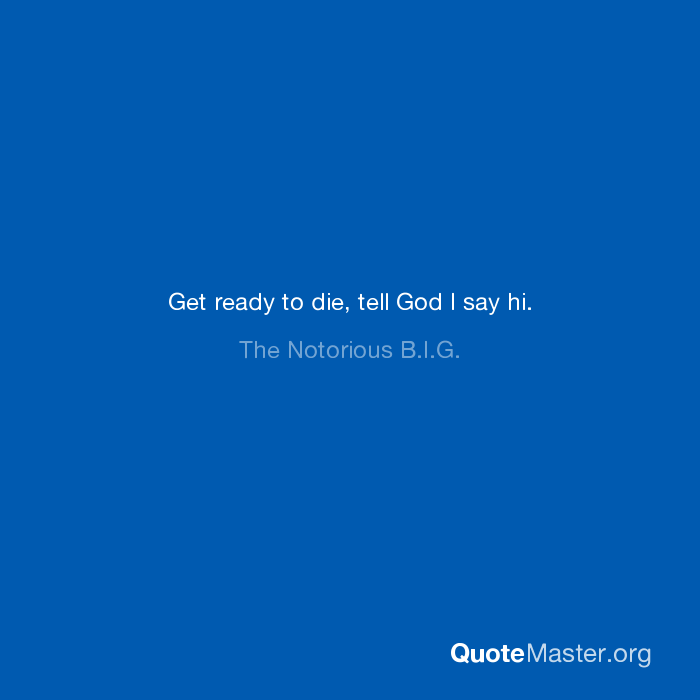 - The Notorious B.I.G.